Year: Mainspring initiated a riparian buffer restoration along much of Lakey Creek within the property in 2013. 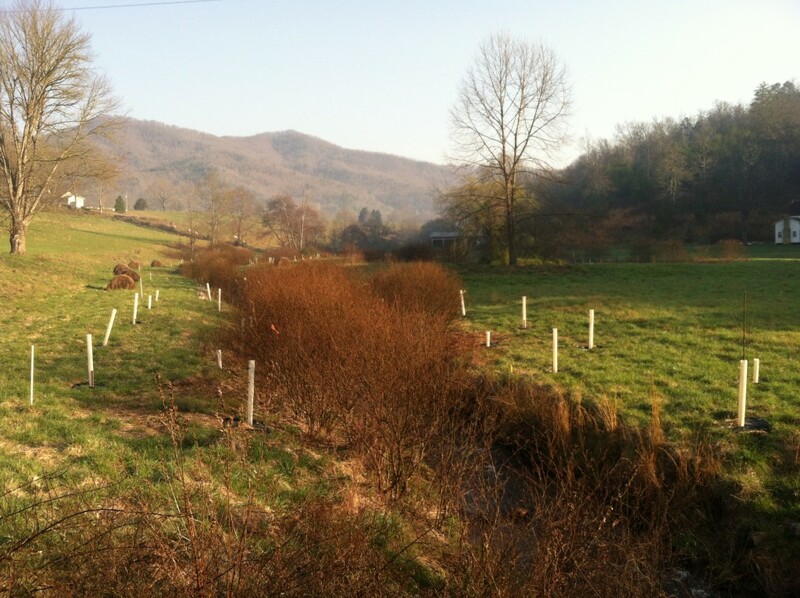 The riparian restoration involved planting a 20-foot buffer on both sides of the stream with a variety of native bare-root tree species, native bare-root shrubs, and 1,300 live stakes. A total estimated length of 1,750 feet of riparian area was planted. 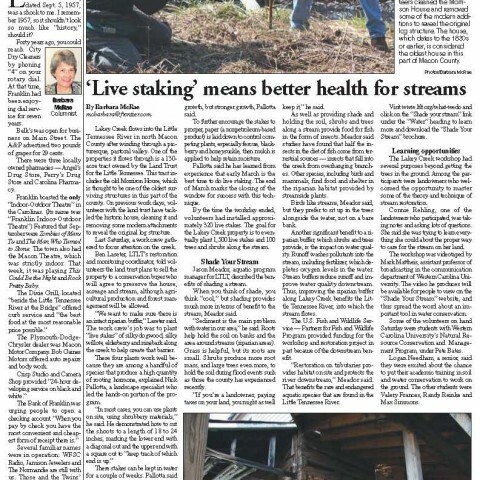 Mainspring also hosted a “live staking” workshop to show adults and students how to establish native streamside vegetation on their own property. Due to partnership with US Fish & Wildlife Service and the NC Wildlife Resources Commission, Mainspring completed a second phase of restoration in early 2016 which included removal of a failing culvert and creation of resting habitat for fish species.